Karnataka Management Aptitude Test 2017: This examination is on the State level this entrance examination is conducting for the MBA or MCA admission. The Karnataka Examination Authority (KEA) is used to conduct the Karnataka Management Aptitude Test (KMAT) in the month of August, every year. The third test by the KMAT for admission to institutes Karnataka Private Post Graduate Colleges Association (KPPGCA) there is approx 169 member institute. The KMAT 2017 Management Aptitude Test will be conducted for the admission of post graduate management programs in B-School of Karnataka. There have 10,000 seats are available. Candidate will get the KMAT 2017 Important Dates here which will help to the applicant while admission process. Above given date are not confirm dates we will update the dates after the official announcement of the important dates. Application form filling is compulsory for all the interstate and eligible applicant. The KMAT 2017 Application Procedure will be strated on the official website of the KMAT. Here is the process to fill the application form filling which is given down. Click on the official website of the KMAT. Then applicant have to register there to fill the application form. Upload all the asking document scan copy. Click on the submit button and submit the application form. Do not forget to take a print out of the application form. Every applicant has to meet the eligibility criteria to apply for the application form. The Eligibility Criteria of KMAT 2017 is given down. Applicant must have the 3 Year Bachelor’s degree. 3 Year degree from any of the field like Commerce, Management, Arts, Social Sciences, Engineering/ Technology or equivalent. Candidate should have to pass their bachelor’s degree with minimum 50% of marks and the applicant who belongs to the SC, ST category they have to score minimum 40% of marks. Note: A candidate who are in the final year even they are also eligible for the post. Examination syllabus will help to the applicant to know about the examination syllabus through that applicant can start their study. Following are the Exam Syllabus of KMAT 2017 which is given as follows. Here is the Exam Pattern of KMAT 2017 which will help to the applicant to know about the wattage of the each subject through that applicant can score high marks in the examination. Following are the examination paper pattern. So here is the KMAT 2017 Participating Institute list which is given as follows. The applicants will get their admit card on the official website and after filling the application form applicant will get the Admit Card of KMAT 2017 through the admit card applicant will know about the examination center name and address of the center. The candidate has to carry the admit card on the day pf the examination without the admit card applicant will not allow entering in the examination center. KMAT 2017 Hall Ticket along with this applicant also have to carry the photo identity card in the examination center. An applicant who given this examination they have to read all the given information which is given on the admit card and also have to follow while given the examination. Entrance examination result will be announced by the notification on the official website. After getting the examination result applicant will know that weather he/she can take admission for the post graduate management programs in B-School of Karnataka. Exam Result of KMAT 2017 will announce after the entrance examination. Note Student who want to get more information about the KMAT (Karnataka Management Aptitude Test) they just have to click on KMAT 2017 applicant will get all the information. 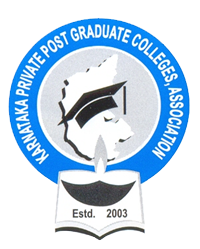 This entrance examination is conducting by the Karnataka Private Post Graduate Colleges Association (KPPGCA) every year for the admission to the post graduate management programs in B-School of Karnataka. This examination is at the post graduation level. Commonly this examination is known as KMAT 2017. To apply for the admission process applicant have to meet the eligibility criteria for the admission which is compulsory for all the applicant. Here candidate will get the information about the eligibility criteria, application form, Important dates, and many another process which is given down.